I create lights and render a 'night' scene. 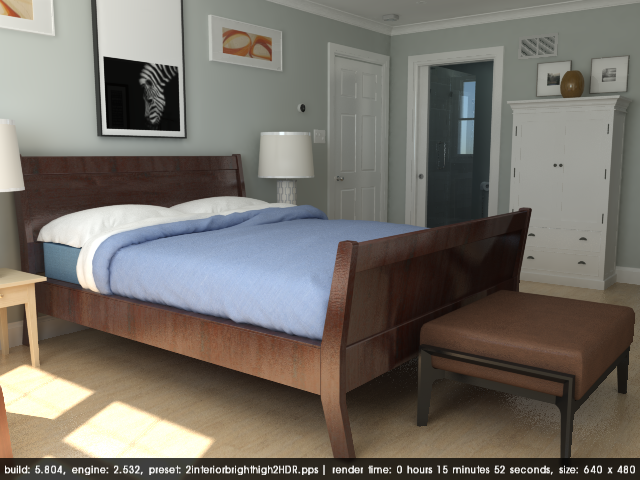 Then turn off point lites, render a daylight scene. When I want to go back and render night again, the lights are missing the point light object. Maybe I am completely losing it, but it is reproduceable. Also, the 'light outliner' will often only sporadicly show lights in a scene (other than a LEM) which I believe is tied to the issue above. If I go back to an eariler saved model that never had 'toggle point lights' used, the light outliner shows all lights. Interesting... what operating system, SketchUp version, and Podium version are you using? So you are using a Dynamic light component? The ones that are able to be toggled on an off are standard SketchUp dynamic components which make the object which Podium uses as the light source, visible or hidden. Toggling this should be straightforward. There is either a problem with the definition of a specific component, or how your machine handles DCs. Either way we'll need a little more information to diagnose the issue. Which specific light component(s) are you having trouble with? After turning off point lights I can't turn them back on and am missing the light object in the light housing. Of course now I can't reproduce that! This file doesn't unzip. Can you upload an skp file instead? What would be better would be if you can strip out any unnecessary elements so we can just look at the critical elements. Attached is just the ceiling. The first one unzipped fine for me... I see that all the fixtures are missing their lights and analyze doesn't identify any point lights at all. You said this happened after using the toggle function to turn them off? 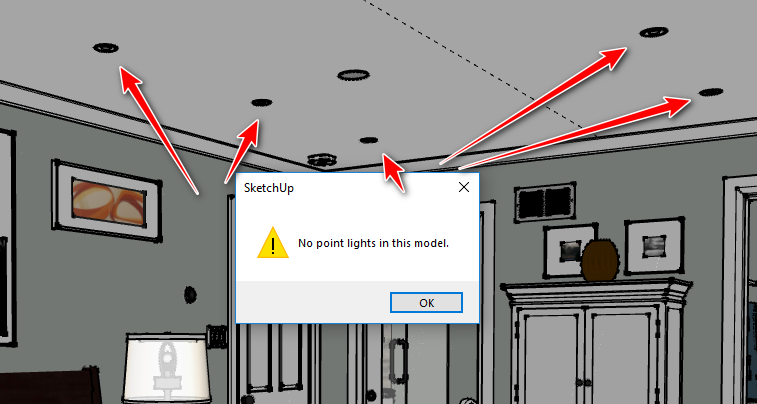 I tried those light fixtures in a fresh SketchUp file and could not reproduce the problem.... point light toggle, light fixture outliner, and DC options all worked for me. I don't currently have 2.5.804 installed though. Can maybe install later today and see if I can duplicate it. Would appreciate that. It has happened in a few different models and is frustrating as I have to re-add the lights which takes time. Ok I have 2.5.804 installed for Win 10, SketchUp 2018 so all our versions match up. All the methods of turning lights on and off are working for me in the attached file with the Reggiani Milled comfort 233 fixture. Can you see if you can successfully toggle the lights in that model? If the point lights get deleted please let me know exactly which action caused it. OK, so far I can't replicate the issue using the model you attached and I am able to toggle lights on/off. Not sure what I am doing that may cause this. 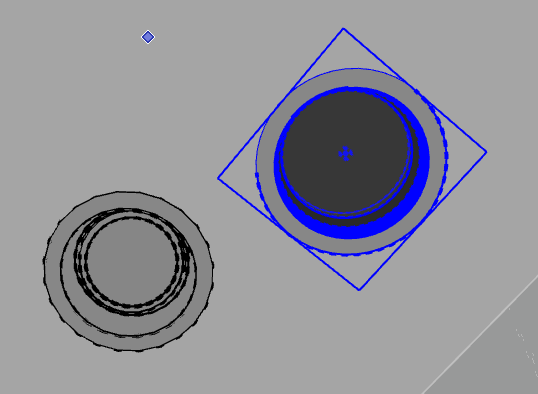 I'm not doing anything strange when creating the model and inserting lights. I will make the ceiling a group and open it to insert the light so that when I turn off the 'ceiling' layer, the lights go away. I create sections of the model to better place Podium browser objects, etc. It would appear that something you are doing is causing the problem. At least it's not a rare bug!